These standard models feature a new copper bowl design that brings out the best in copper with a solid, well-defined tone. The sound and playability of this series are suitable for stages from schools to concert halls. 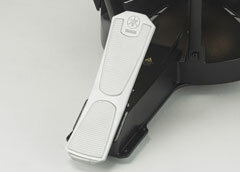 Pedal spring and head tension are balanced so the set pitch is maintained even if the player removes his or her foot from the pedal. Pitch changes across the entire range are smooth and easy. In depth research into the effects of bowl edge angle and the dimensions of the openings in the bottom of the bowl have resulted in designs that bring out the most desirable characteristics of the copper materials used. 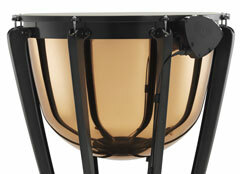 The timpani frame does more than just support the bowl. It plays a significant role in sound quality as well. Strength and playability enhancements have been combined with artist feedback to create a new, optimally balanced frame design. 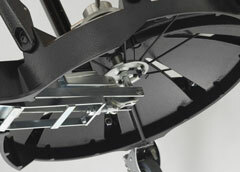 A suspension ring attached to the frame provides a floating mount in which the bowl does not directly contact the frame, allowing full, unrestricted resonance. 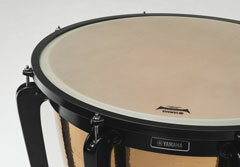 Yamaha Remo Renaissance Heads with aluminum insert rings offer outstanding expression with stable pitch and excellent durability. 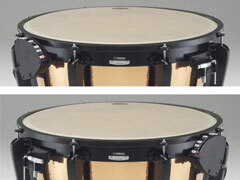 Two types of casters that make moving and positioning Yamaha timpani easy also allow height adjustment so that the height and angle of the instruments can be precisely set as required. 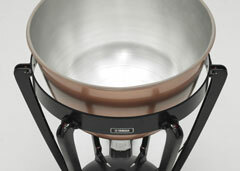 The large casters include a one-touch lock mechanism that contributes to fast, sure setup. The tuning gauge can be easily attached to the left or right side of the instrument for compatibility with German system arrangements. 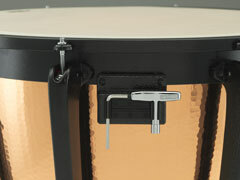 A tuning key/wrench holder that attaches to the side opposite the tuning gauge is included. Large pedals have been adopted for easier operation.